BravinLee is raising $10,000 on Kickstarter to design a giant, inflatable rat made to look like Donald Trump. Donald Trump is a man full of hot air who has spread a plague of hatred, xenophobia, sexism, and bigotry across the country — so the representation of the President as a giant, inflatable rat is fitting, as envisioned by the folks at BravinLee programs. 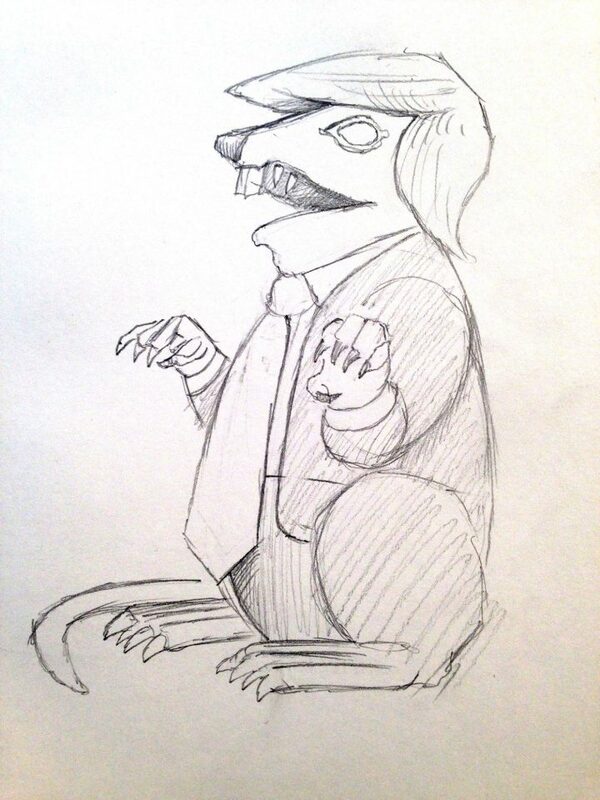 The gallery has launched a Kickstarter to make this toothy rodent a reality to display during protests, of which there will certainly be many in the coming years. Inspired by “Scabby the Rat,” the moniker of the giant, menacing inflatable that pops up during union protests, this 15-foot tall one will be dressed in a suit and have a blond comb-over. The gallery is currently raising $10,000 to get the rat manufactured by a professional company. 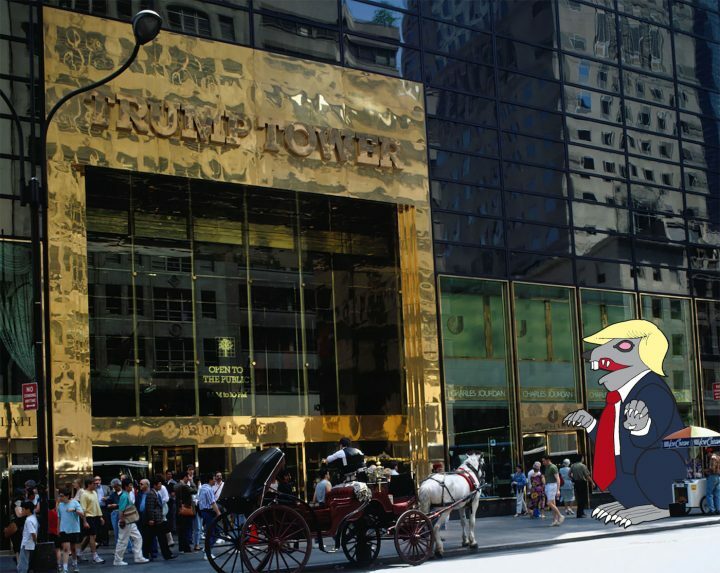 The money will not only cover the cost of the custom job but also the tools required to install it, as well as rewards for donors, which include a “commemorative Trumpy the Rat” shirt and a “Trump Rat Inflation Picnic.” Other perks include original art by artist Jeffrey Beebe, who worked with BravinLee to design the plump presidential protest rat. 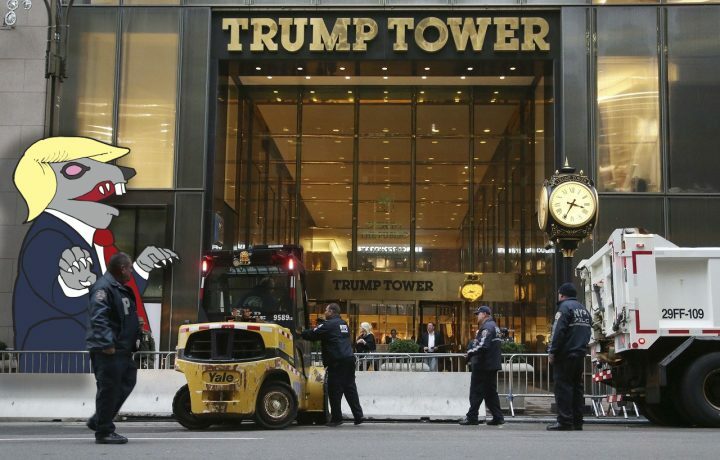 If the team’s campaign proves successful, the rat will debut at one of Trump’s own nests — as Lee put it, “as near to the Trump Tower Gates of Hell as the local police and feds will tolerate.” From then on, the gallery is happy to loan it out to appear at other protests. Any additional money raised will go towards creating more rats, to hopefully build a sizable rat pack of resistance against the Trump administration.